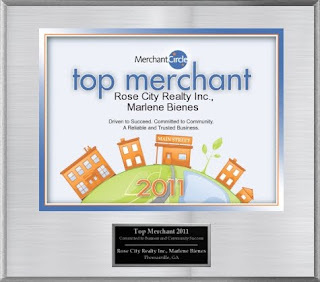 Thank you Merchant Circle for this recognition. I value my clients, network partners and my community and do what I can to provide my exceptional service, valuable information to consumers and my clients in order for them to make intellengent decisions. The Obama administration announced on Friday plans to reform the housing finance market, including winding down government-controlled mortgage giants Fannie Mae and Freddie Mac and turning most of the market over to the private sector, as well as requiring larger down payments. The White House proposed three approaches to replacing Fannie Mae and Freddie Mac rather than offering up one final plan. The administration’s proposal is expected to reshape the way Americans buy and own homes. ▪ Shrinking the size of the portfolio of mortgages held by Fannie Mae and Freddie Mac by at least 10 percent a year. ▪ Creating an insurance fund for mortgages, supported by premiums paid by lenders. ▪ Winding down government subsidies of mortgages by raising the fees charged to cover the risk of default. ▪ Raising fees for borrowers and requiring larger down payments for home loans. The administration also recommended measures to make government-backed mortgages more expensive in order to allow the private-sector to better compete in the mortgage market. For example, it called for reducing by this fall the size of mortgages Fannie and Freddie may purchase from $729,750 to $625,500. Some critics of the proposal are concerned that the administration’s overall plan would raise mortgage rates. Treasury Secretary Timothy Geithner said that mortgage costs likely will rise in the coming years, as government support is withdrawn and the private sector takes on a bigger role. Credit Suisse has estimated that rates on a 30-year fixed mortgage may rise as much as 2 percentage points if the government withdraws its backing of Fannie Mae and Freddie Mac. Higher borrowing costs could be a thorn for a recovering housing market, since interest rates greatly affect how much buyers can afford, experts say. NAR’s economists estimate that a retreat of capital from the housing market will negatively impact the economy too. For every 1,000 home sales, 500 jobs are created for the country, NAR notes. Geithner estimates that reducing the government’s role in the mortgage market may take five to seven years for the transition.